Sonic the Hedgehog 2 is one of the most beloved games from the 16-bit era. It’s been ported to almost every platform imaginable, and it’s featured in many a compilation (including one for the Nintendo DS, which offers portability). 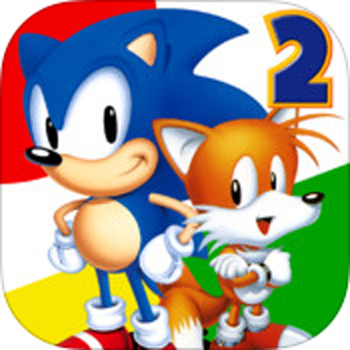 But as I mentioned before, the updated Sonic the Hedgehog 2 released on the App Store (and available for the first time on Google Play) is unlike any you’ve played before. I’ve spoken at length about Christian Whitehead—this is the guy responsible for the Remastered Sonic CD available on current-gen platforms and mobile devices, as well as the recent mobile update for the original Sonic the Hedgehog. He puts care and attention into his work, and he’s developed a huge following within the community as a result. I’ve played both of his Sonic ports, and I have to say I’m impressed with what he’s accomplished, as well. When people heard that Whitehead was creating a remastered Sonic the Hedgehog 2, there was excitement…as well as speculation regarding if a certain level would make it into the game. There’ll be more on that momentarily. 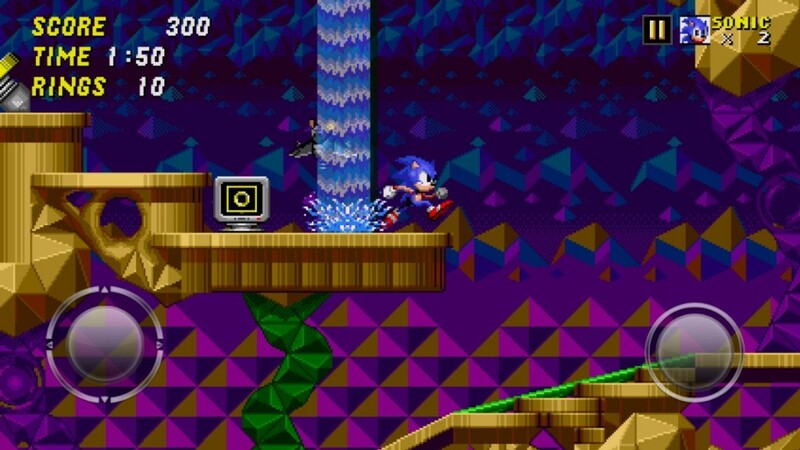 What new life has Whitehead breathed into this version of Sonic 2? I dug Whitehead’s design choices before I even started playing the game. If you’ve not yet seen his Remastered Sonic the Hedgehog, then you don’t know about all the flair he’s added before the game begins. 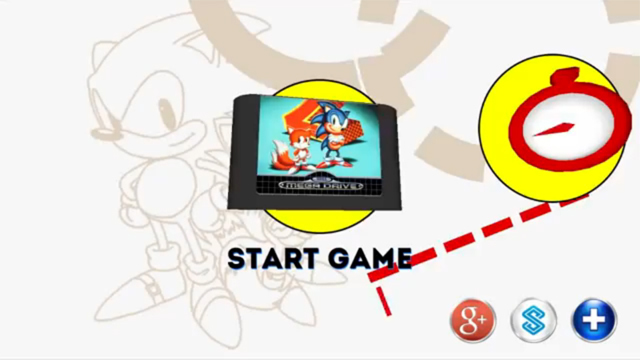 In the mobile versions of Sonic 1 and Sonic 2, you can tweak various settings before starting the game itself—everything from whether or not the box art displayed is the Japanese or International version(s), the size and opacity of the in-game controller, music and sound effect volume, and many more (admittedly small, but it shows some attention’s been put into this port) features not available in the original 16-bit release(s). 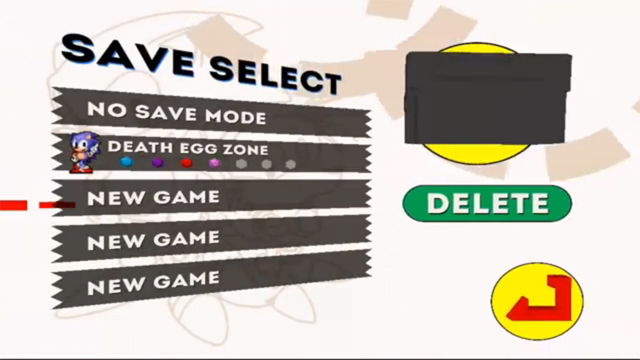 You can choose to play the game(s) with Save Data or in a No-Save file. And last, but not least—there are achievements, for friend-bragging or a way to challenge yourself. Sonic 1 featured characters to unlock (Tails, Knuckles and Sonic & Tails), but Sonic 2 has these characters available right from the start. You can select which character you’d like to play as before the game begins (yes, Knuckles can climb and Tails can fly like in Sonic 3). Also, in Sonic 2, but not Sonic 1: a two-player Versus Mode, which, unfortunately, I have been unable to try so far, and a Boss Attack mode. The game itself controls how it should. Any struggle you have making your way through the game’s levels will be due to touch-screen controls themselves, not because this port’s controls are poorly implemented. Those of you accustomed to mobile gaming will get used to them pretty quickly, while it may leave other folks (like me) just begging for an actual controller. As can be assumed by the fact that I’m talking about a busy, immersive platformer on a mobile device—size matters. There is much less of a struggle playing the game on an iPad versus an iPod Touch, or a larger Android device versus a tinier one. Still, the control-pad can be adjusted in the Settings menu (as I’ve already noted), so finding a comfort-zone is not impossible. The only real struggle for me was with the game’s Special Stages. They’re very pretty, but I’m never going to be able to beat the game (without cheats) as Super Sonic. 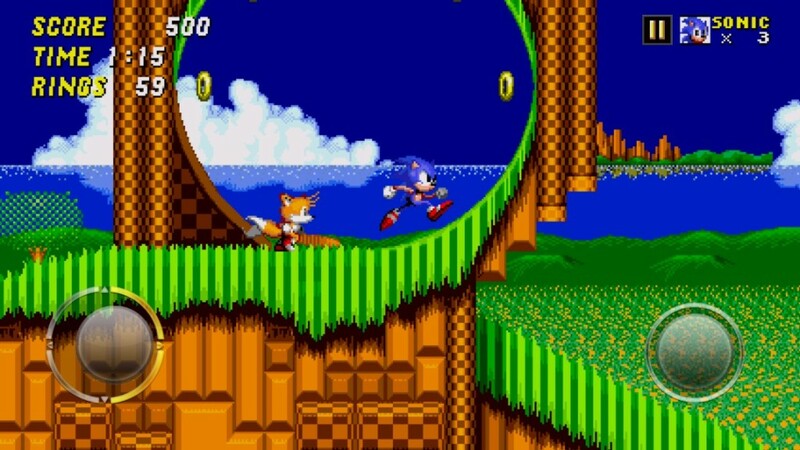 I feel like the controls could stand a little more tuning up to make Sonic, Tails and Knuckles more readily able to dodge obstacles while rushing to grab rings. The remastered soundtrack brings out the best in the 16-bit audio. The graphics will attract everyone in love with how much Sonic CD’s new version was an improvement over the original. And the story features a bit more than the original release—Whitehead took a few liberties at the very end to connect Sonic 2 to Sonic 3. I dig it. You can beat the game by lunch time if you’re a seasoned Sonic veteran, or it could take a few hours of sitting down if this is your first time with the game. Still, there’s one last thing to say before I offer my final thoughts on this review. Hidden Palace Zone is amazing. 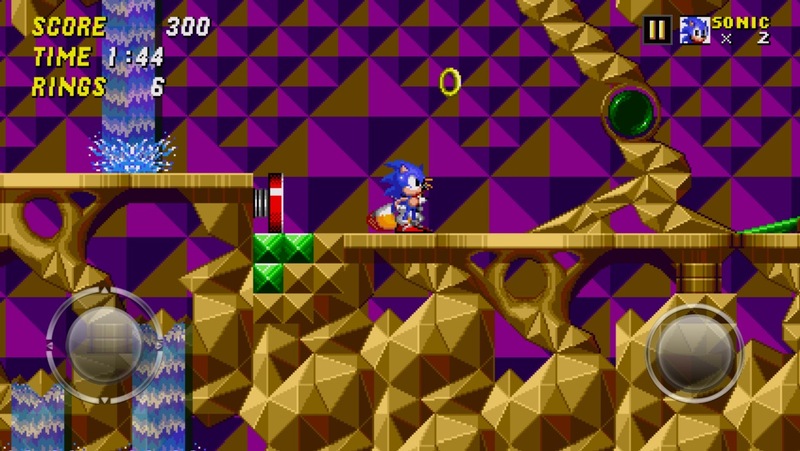 For those of you familiar with the history of Hidden Palace: Whitehead’s take on the level does not involve anything special regarding Super Sonic or the seven chaos emeralds. It’s actually hidden in the game—you can’t even access it via the Level Select cheat until you find it yourself. I’ll not spoil anything in this review, but you do get an achievement for finding and completing it. It does not feature this infamous music, and, despite Whitehead offering a good point as to why it’s not included, the Sonic purist in me kind of considers that a misstep. In a port where there’s so much attention to detail and options, why not offer certain players the option to pick between the track he does use and the “real” Hidden Palace music? Still, at its core, this was a chance for Whitehead to go beyond the history associated with Hidden Palace Zone, and make his own level that will impress those who aren’t familiar with the betas and crazy stuff out there. Badnicks scrapped from the original Sonic the Hedgehog 2 are included, but so are brand new badnicks I’ve never seen before, and a brand new boss that was specifically created for this new Hidden Palace Zone.Personally, I think it’s worth the $2.99 asking price just to find and play through Hidden Palace. I’ve played through the level a few times now—I always manage to find a new path with cool things to explore each time I do. When you think about it, deciding whether or not to purchase Sonic the Hedgehog 2 Mobile is like debating between buying this full game or a decent-sized bag of candy from your local grocery store. Experiencing Hidden Palace Zone was like candy for me, and the various improvements made to the game were good enough for me to recommend it on its own (without my admitted fanfare for the scrapped level). This is an extremely competent port worth trying (for that low price) and mastering (if you have the patience or are already used to touch-screen controls). But, at the end of the day, I just think damn, I’d pay SEGA $50 to port Whitehead’s remastered mobile Sonic games to consoles. Great games, greater ports, but they’re held back from being absolutely flawless due to constraints set by the devices on which they’re released.